The Greek Word for Hump is “Kyphos.” Hunch back posture problems are also known as kyphosis, which literally translates to a condition of having a hump. Kyphosis is the clinical term for an abnormal curvature in the thoracic spine. The excessive curvature of the thoracic spine causes an appearance of a hump as the muscles, skin and fat of the upper middle back are pushed outward. When people often think of kyphosis, they think of Quasimodo from the Hunchback of Notre Dame. Scheuermann’s kyphosis or Scheuermann’s disease is a condition usually arising during the teenage years which results in severe and painful kyphosis and a host of other problems. This is not something which can be corrected without medical intervention. What Causes Hunch Back Posture Problems? The human body is not meant for long periods of inactivity. Our bodies can adapt to almost all physical activities we put ourselves through. Inactivity is an activity in itself, the adaptation of the body to inactivity is what causes hunch back posture problems to arise. You may think of sitting on the couch watching TV or slouching at your computer desk for endless hours as inactivity, but your body is still functioning actively. If your shoulders are rounded forward for hours at a time, your body will adapt. The body will assume permanent characteristics of any habitual posture. The muscles on the front of the body, specifically the chest muscles, become tight and begin to pull your shoulders forward. When your shoulders are constantly pulled forward, the muscles in your upper-middle back become lengthened and weak. Kyphosis can cause health problems from bad posture including pain in the back, neck, and in some cases, the extremities. Often times, kyphosis is associated with other misalignments of the spine such as lumbar lordosis and forward neck posture (cervical hyperlordosis). 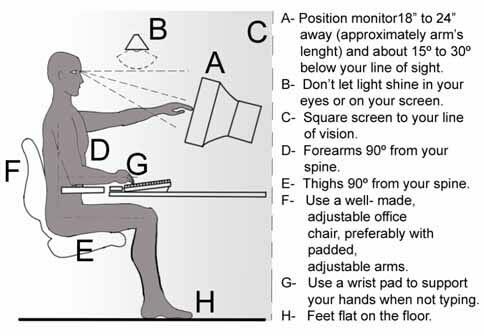 If you don’t want to be called hunchback, hump back, round back, or Quasimodo, you should make sure you are not forced into bad posture by poor ergonomics. 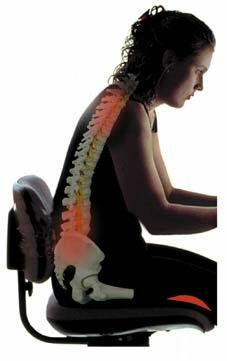 Be conscious of your posture at all times and try to avoid prolonged periods of sitting without moving. Be aware that your exercise selection can effect your posture. Make sure you have a balanced exercise program. Don’t make the mistake of overtraining your chest and neglecting your back muscles. 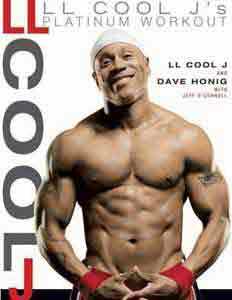 This is an especially common foible among male exercisers. Strengthen and stabilize your core muscles in all planes of motion by performing oblique, abdominal and transverse abdominis exercises on a regular basis. A strong core means a healthy lumbar spine, which in turn encourages a healthy thoracic spine without the excessive kyphotic curve or hump back. Contact a NASM certified personal trainer at your local gym and ask them to perform a free postural analysis for you. Even if you don’t have hunch back posture problems, you may have other postural issues caused by various factors, such as wearing high heels or bad training habits. How Can You Fix Kyphosis? 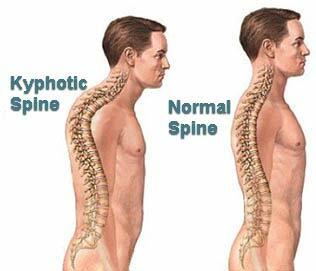 Most of the time, kyphosis is completely reversible. If you have rounded shoulders and/or a hunch back, you can use corrective exercises to help loosen up the tight muscles which are pulling your spine out of alignment. You may also need to strengthen weak muscles throughout your body. 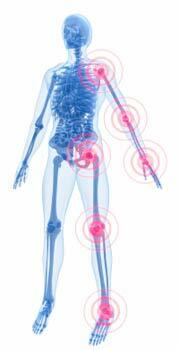 Always remember that a problem with one body part can have effects all throughout the body. You can think of your body as a kinetic chain in which everything is interlinked. You are only as strong as your weakest link, in that the weak link that might seem minor can cause major downstream problems. Again, if you have access to an NASM certified personal trainer, your first step should be to have a postural analysis done. Without a professional postural analysis, you won’t know exactly which muscles you need to strengthen and even more importantly, which muscles you need to perform SMFR on to lengthen. If you are attempting to fix your kyphosis with corrective exercises, keep in mind it takes time. Make sure you avoid habitual bad posture in the form of rounded shoulders while you attempt fix your posture problems. You must be persistent and proficient with the corrective exercises in order to achieve the desired effect (which is, of course, reduced kyphosis and an end to the days of people calling you Quasimodo). What About Posture Corrector Braces? Posture corrector braces are a great aide to your corrective exercise routine but they aren’t by themselves an end all product that will magically fix kyphosis. However, a posture corrector can definitely help improve your posture when used in conjunction with corrective exercise. Posture corrector braces help keep your body in better alignment and over time you will re-build muscle memory for the right posture. 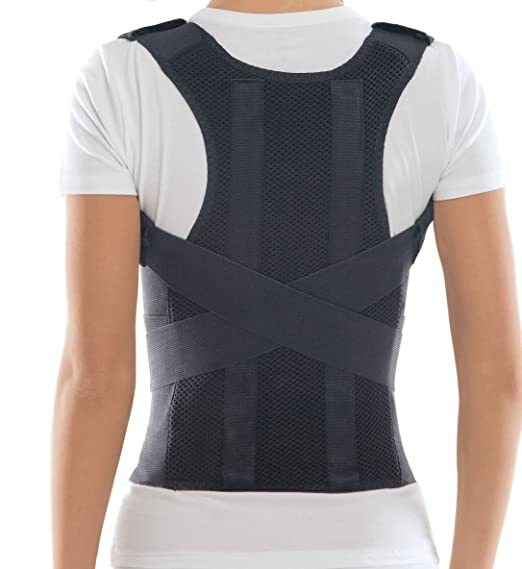 When first using a posture corrector brace it is best to start out slow and work your way up. For the first few days wear your brace for about 20 minutes and increase another 20 each day until you can wear it for approximately 3 to 4 hours max daily. Do not wear it for extended periods, take it slow, and don’t get too crazy. With a sound corrective exercise routine and posture corrector brace at your disposal, you will start seeing results before you know it, but correcting your kyphosis will take time so don’t forget to be patient! Make sure you learn all about your body’s alignment before you attempt to fix hunch back posture problems or any other muscle imbalances. Learn how posture problems and other forms of imbalance develop. 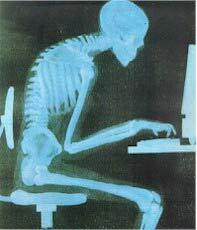 With knowledge, you can avoid health problems from bad posture.